Travel between Georgian cities is by way of marshrutkas – minivans driven by madmen. In Kutaisi, they leave from the bus station car park and stop whenever they are flagged down. It costs 10 GEL to go nearly 180 km so they’re an inexpensive way to travel. But the ride – oh the ride. On the way to Batumi, I slept. On the way back, I watched with a fascination that bordered on pure, unadulterated terror as our driver made a third lane in the middle of a two-lane road, playing chicken with oncoming traffic. Although we managed to keep all wheels on the ground, at times it seemed as if we’d topple over or take off. I made my peace with the world, said my last act of contrition, and figured that if it was to be my last Monday in Marydom, so be it. It was one helluva ride. We’d seen posters for Batumi in the airport when we landed. High-rise, modern hotel buildings overlooking a 6km promenade that separates the city from the stoney beach [pack those water shoes]. But even so, I wasn’t prepared for it at all. The space on the city side of the promenade is sculpted to within an inch of its life. There’s even a bamboo forest. Landscaped gardens. Manicured lawns. Carefully tended trees, plants, shrubs and flowers, provide a backdrop to some interesting statuary. The most famous one (although I’d never heard of it, let alone heard of the city) is a mechanical one – The Lovers. Based on the story of Ali and Nino (whom I met in Baku) it’s apparently something to behold. I only saw it action later, on YouTube. Worth a watch. Another series shows cutouts of boy/girl/love while a third focuses on shoes… massive empty shoes just waiting to be stood in. Add those to the oriental musicians, the dolphins, the angels and the famous people and the place is like a massive open air gallery. Even the graffiti is amusing. Step off the lawns and the paved promenade though and you might well be in a different world. We didn’t have time to explore as much as I’d like to have done so it’s on the list for a return trip. I suspect though that there’s far more to the city than glitz and glamour. It will be interesting to see how it copes with the wealth that’s pouring into it. As Baku shows all too well, not everyone benefits equally from new-found prosperity. Those who keep the city turning over, those who dot the i’s and cross the t’s and make sure the lights stay on, might wake up one day and wonder what happened. Those who keep the city turning over, those who dot the i’s and cross the t’s and make sure the lights stay on, might wake up one day and wonder what they missed. interesting history. It’s been occupied by the Ottomans, the British, and the Russians. It was here in 1902 that Stalin called strike and got the boys a 30% pay increase just a month or so later. This might well have been where he got his start. The price of real estate has trebled since 2001 with Kazakh investors pouring €100 million into the region. There’s a market for what Batumi is growing into, though. The water sports. The fishing. The boat trips. The beaches. The night clubs. The designer shops. The fancy restaurants. It has it all. After a hectic two days in Kutaisi with its markets, its cathedral, its dinosaurs, its caves, and its monasteries, it was good to head for the coast. And we’ll be back. https://anyexcusetotravel.com/wp-content/uploads/2018/09/long-aett640.png 0 0 Mary Murphy https://anyexcusetotravel.com/wp-content/uploads/2018/09/long-aett640.png Mary Murphy2016-06-30 00:29:582016-06-30 00:29:58The new Dubai? I’m not great at needlework. I can’t paint. I don’t have the patience to bead. Pottery, ceramics, and mosaics are beyond my reach, artistic wise. But I can make a St Brigid’s Cross. Or at least I could … when I was in primary school. But even now I can see in my mind’s eye how it’s done. Not the most complicated thing in the world to make, but a skill I’m somewhat proud of. I’ve long had a fascination with crosses and the stories behind them and get positively excited when I happen on one I’ve not seen before. Yup it doesn’t take much to rock my world. I’d never heard of the Georgian Cross, aka St Nino’s Cross or the Grapevine Cross. Apparently, it dates back to the 4th Century and is a major symbol in the Georgian Orthodox Church. St Nino, a woman from Cappadocia, came to Iberia to preach Christianity. As the story goes, Our Lady appeared to her en route and gave her a cross made from two grapevines. To make it even more secure, St Nino tied it in the middle with strands of her own hair. Now, grapevines, being the flexible beasts that they are, don’t hold their shape very well so in time, the horizontal vine began to droop, giving it its familiar look. The cross has a long history. According to traditional accounts, the cross of St Nino was kept at Svetitskhoveli Cathedral in Mtskheta until 541. During the Persianinvasions it was taken to Armenia and stayed there until David IV of Georgia recovered the Armenian city of Ani from the Muslims in 1124, and brought the cross to Mtskheta. King Vakhtang III of Georgia (1303-1307) enshrined the cross in a special envelope, decorated with the scenes from St. Nino’s life. During the 1720s, when Georgia was subjected to a Persian and Ottoman invasions, the cross was taken to safer areas, to Ananuri in highland Georgia. From there, the Georgian bishop Timothy brought the cross to the emigre Georgian princeBakar, residing in Moscow and then in Lyskovo. The Georgian king Erekle II tried to recover the relic for Georgia from Bakar’s family, to no avail. In 1801, Bakar’s grandson George presented the cross to the Russian tsar Alexander I who returned it to Georgia in 1802 on the occasion of Georgia’s incorporation within the Russian Empire. Today it can be seen in Tbilisi’s Sioni Cathedral. A reason to visit Tbilisi, if ever there was one. I stumbled on two while in Georgia: a simple, more faithful copy of the original in Bagrati Cathedral, and another, more ornate one in Gelati Monastery. And I tried, unsuccessfully, to buy a small replica for myself in silver or wood. But among the mass of religious items on sale everywhere, there wasn’t a cross to be found. Any entrepreneurs out there? Years ago, in another world, when I was living an Irish version of Armistead Maupin’s Tales of the City, I shared a house with an Australian lad. Although not even six months in the country, he could navigate the city of Dublin by the pubs. Mention anywhere in the city and he’d ask: Is that the one next to such and such a pub? Nothing short of remarkable, even considering the plethora of pubs in Dublin in the 1980s. When in Georgia, I figured that one of the best ways to navigate the country is not by its pubs, but by its monasteries. There are two within spitting distance of Kutaisi. And we went to both. Gelati Monastery, which sits 11 km to the northeast of the city, was built at the beginning of the twelfth century. With three churches and an academy, it was variously referred to as the ‘new Athens’, and the ‘second Jerusalem’. Its academy was home to some of the most celebrated Georgian scientists, theologians, and philosophers of the time. Stepping inside is like going back in time. It takes a minute to realise that the murals on the walls, in all their faded glory, are untouched originals. Spectacular. Being a church-going Catholic well versed in kneeling, standing to a schedule, I was once again struck by the seeming randomness of the Orthodox services. With a little more exposure, I might even get used to it. But whatever the random nature of the service, the devotion was palpable. I was particularly taken by the roof tiles on one of the churches in the complex. As we wandered around, it became clear that it’s still very much in operation with monks living on the premises and talks and lectures still going on in the academy. To think, that all these years later, the wealth of knowledge shared within its walls is still preserved. It really is a special place. Next up was Motsameta Monastery, a mere 5 km from Gelati. This dates back to the same time but unlike Gelati, it’s not accessible by public transport. Taxis are plentiful and inexpensive though. It sits on top of a cliff overlooking the Tskhaltsitela River and is even more magnificent in its remoteness. It is here that the two martyrs, brothers David and Konstantine Mkheidze, are entombed. It is said that if you crawl three times under their tomb (that little space to the right of the steps ), your prayer will be granted. I did. And I am waiting. Patiently. Only time will tell. Many women make the pilgrimage when they’re trying to get pregnant. That wasn’t my prayer. Here, too, the monks are in residence. An unfortunate translation had me worrying about the welcome on offer as a sign on their quarters warned FOREIGNERS that their entrance was prohibited. I’d like to believe it isn’t just non-Georgians they don’t want, but anyone not of the Order. Both monasteries are worth the time it takes to visit. Both are accessible by taxi from Kutaisi. Entrance is free. If you do go, light a candle for me. The tides of fortune ebb and flow. Periods of economic prosperity are often preceded and succeeded by periods of austerity. At any given moment in time, the flow of people in and out of a country will be greater or smaller. And while Hungarians appear to be emigrating at a rapid rate, Georgians are returning home. The Rose Revolution of 2003 and the two-term president Mikheil Saakashvili elected that year apparently put the country on the road to economic prosperity. But theirs is still a journey. The country has a ways to go before everyone gets to benefit. The signs are there, though. With little by way of natural resources like oil and gas and precious minerals, Georgia’s biggest assets are its scenic beauty, its culture, its traditions, and its people. In Kutaisi recently, the country’s second city, I got chatting to 37-year-old Zaali. He returned to Georgia in 2015 having spent time Canada and Spain working construction. He speaks four languages and has an innate interest in people that makes him the perfect host. Less than a year ago he opened his business and set about capitalizing on the growth of tourism. Zaali owns and runs Hostel Luxe, a hostel close to the bus and train stations that has mixed dorm rooms, double rooms with ensuites, family rooms, and apartments. His is one of many hostels to open in the city recently and with competition quite tough, he had to find his edge. And he did. He offers free transport to and from Kutaisi’s international airport, about 20 km outside the city. For travellers who are used to staying in mid to high-end hotels, free transportation to and from the airport is a given. For those on expense accounts, it hardly matters. For those who are not on a budget, taxis provide a handy option. But for those who are travelling on limited funds, this is a luxury. He told me how one young woman from Ukraine danced a jig when she saw her name on his larger-than-usual placard. She was delighted with her welcome and said she felt special. It’s been a lifetime or three since I last stayed in a hostel. If I’m travelling on my own dime, my priority is location. I don’t need anything extravagant. But I need clean. And I need free Internet. If I’m travelling to a country where the language is going to be a challenge, I try to schedule flights that get land at a reasonable hour. I avoid early mornings and late nights. I need to find my way around and do so in the light of day. If I can’t manage this, then I take a taxi. Given all the choice there is for accommodation in Kutaisi, I chose Hostel Luxe because it offers free transport to and from the airport [the flight from Budapest lands around 5 am on a Saturday morning and departs shortly after the following Tuesday]. With airport transfer available, there was no faffing around with changing currency or finding bus stops. And there’s something to being said for being met in person when you arrive somewhere. It all adds to the experience. Many moons ago, a priest friend of mine visiting Budapest begged me not to take him on an ABC tour. Him being a priest, Anglican, Baptist, and Catholic came to mind. I was a tad confused until he explained: I don’t want to see Another Bloody Church. I was reminded of this when Zaali suggested (read: stated) that we should visit the Prometheus caves before heading to the monasteries. I thought: not another bloody cave. But it would have been churlish to refuse, even though Sataplia was cave enough for me. En route, we passed through the town of Tsalktabo, which once boasted a direct train to Moscow. It was here that Russia’s rich and favoured would flock to the various spas and sanatoriums where they would enjoy the healthy waters and medicinal treatments, not to mention fine food and wine and the excellent Georgian hospitality. Today most of these massive buildings lie empty, slowly falling down. The previous president apparently had plans to turn the town into a mini Vegas by closing all casinos around the country (and there are plenty) and relocating them all here. It would contain the gambling in one spot and rejuvenate the dying town. Plans have since changed. There is one spa currently in operation (from what I saw – there could well be more) and it looks half-built in places. The local park looks like it stopped mid-development, too. It’s for all the world like an abandoned movie set. Had we had time to stop and explore some more, I’d have done it. But we were on a schedule. In the shadow of Khvamli Mountain – where Prometheus was allegedly enchained and relentlessly tortured by a raven – lie the caves that have taken his name. Discovered more than 30 years ago by some local students, the Prometheus Caves are now one of Georgia’s top attractions. Apparently quite a number of domestic animals had gone missing in the locale – they’d been falling into the cave network. Eight hundred steps need to be negotiated to see the full beauty of that part of the cave system that is open to the public. Some 25 km long in total, just under 1.5km is traversed by tourists on a daily basis. There’s a constant temperature of 14 degrees Celsius with 97% humidity. The pools are home to blind fish that have no eyes (don’t need to see) and no pigment. Weird. As we made our way through the five main halls (Tip: If you take a guided tour, be sure to stay up front or you will miss most of it) I found myself in constant debate – I liked the lights and I didn’t like the lights. I couldn’t decide. But when we got to the main hall, we were treated to a spectacular light show accompanied by music: the score of Yellow leaves, composed by the famous Georgian composer (who knew?) Gia Kancheli. It was mesmerizing. There are two options to get back to the beginning – take a bus/train (whichever is parked outside when you surface) or take a 300-metre boat ride. I’d boated before through the caves in Tapolca and was still living the experience so we got the train. The cost of the tour? 6 GEL (~ €2.50, 770 huf, $2.75). It was worth it just to hear the music. Check this site for better photographs. https://anyexcusetotravel.com/wp-content/uploads/2018/09/long-aett640.png 0 0 Mary Murphy https://anyexcusetotravel.com/wp-content/uploads/2018/09/long-aett640.png Mary Murphy2016-06-23 14:32:122016-06-23 14:32:12ABC? I prefer to wander rather than be led. But needs must. When time is limited with just one day to see so much, it’s best be led. We booked onto a tour. I know. Agggh… Not something I’d usually do. Considering it was just the two of us, though, it was more like paying a mate in the know to drive us around. Zali, from Hostel Luxe (where we stayed) offers tours at a rate of 10 GEL per place of interest. We had four on our list so we paid 40 GEL each (about €16 / $18 / 5000 huf each) for a whole day. Although we just wanted to see the monasteries, he insisted that we needed to see the caves, too. I fleetingly wondered if it was a money-making thing but as with other Georgians we met, Zali is exceptionally proud of his city and what it has to offer. So to the caves we went. First up was Sataplia (Land of Honey), some 10 km outside the city. Let’s go back in time, say, 135 million years ago. Instead of the lush greenery and forests we see today, the place was a lagoon beach, home to dinosaurs. According to the guide, the footprints they left in the rocks were preserved and discovered in the 1930s by Petre Chabukiani. He’d come across the cave in 1925 but it wasn’t until 1933 that he found the footprints. There are more than 150 all told, of two different types of beast. I missed the whole dinosaur craze and don’t think I’ve ever seen the movie Jurassic Park (nor do I want to), but I have to fess up to a modicum of fascination: to think that these prints have survived so long. Humbling. whole surrealism of the place. It offers a spectacular view of the city and its surroundings. And it’s here that we realised how beautiful and unspoiled the country is. Miles and miles and miles of green sat in front of the snow-capped Caucasus. Villages nestled in the mountains and the river valleys provided the rich agricultural land used to supply the Green Market. But there was no getting out of seeing the cave, even though I’m not a great fan of enclosed spaces. We hadn’t gone with the guided tour option as when we arrived Russian was the language on offer and anyway, I prefer to go at my own pace. Instead, Zali agreed to come with us and point the way. Poor lamb. He’d probably been there more times that he could count and was sick of the place but again, pride-in-country won out. Not since I was in Slovenia for the Eights have I met such obvious feeling and in times when everyone seems to love to hate their country, for whatever reason, it was nice to see. Sataplia Cave is 900 m long, 10 m high and 12 m wide. The colours were quite remarkable. I spent the usual few minutes trying to remember which were the stalagmites and which were the stalactites and failed miserably. There was no quiz, no prize, and nobody died because I could only make a half-assed guess. It was dark and slimy and cool. There was a fairly constant temperature of about 14 degrees C and it was humid. Very humid. I stepped to the side once to let someone by and found myself ankle-deep in slime that may well have lain undisturbed for centuries. Not a nice feeling. I now know that the caves echo. I’m glad English isn’t all that widely spoken and gladder still of the dark. Entrance fee is 6 GEL (about €2.50, 770 huf, $2.75) and, done properly, could take a whole afternoon. https://anyexcusetotravel.com/wp-content/uploads/2018/09/long-aett640.png 0 0 Mary Murphy https://anyexcusetotravel.com/wp-content/uploads/2018/09/long-aett640.png Mary Murphy2016-06-22 12:18:012016-06-22 12:18:01The original Jurassic Park? The Ancient Greeks had their agora – a central gathering place that was ‘the center of athletic, artistic, spiritual and political life of the city’. Kutaisi, like many Eastern European cities, has its market place – the Green Market. I like my markets. I was particularly impressed with the souks in Morocco earlier this year. And I’ve been impressed in other cities, too. But the market in Kutaisi is more than a place where people come to sell their wares – it’s an institution. And at first it can be just a tad intimidating. They say that the Romans never invaded Ireland because of the women. Word has it that when they pulled alongside the west coast of Ireland, they saw the women harvesting seaweed. So fierce did they look that the Italian boys figured the men must be horrors indeed. And they kept on sailing. Well, the women of Kutaisi might well be Irish. Georgian wine – the homemade stuff at any rate – is a dry sort of sweet and is definitely a grower. The makers are so proud of their recipes which have been passed down through generations that a friendly competition ensues when more than one is in a room at the same time. I hadn’t realised that Georgia lays claim to the first vineyards – a stellar claim indeed. Anyway, yer woman’s English was non-existent. All we knew in Georgian was Didi madloba (thank you very much). By the end of the hour we spent in the market, we had the pronunciation down pat, much to the amusement of those we encountered. heese, the vegetables … all were quite something and enough for me to be seriously considering a move. Not now. But sometime maybe. It’s on my list of possible addresses. Who wouldn’t like to shop here ever day? The vegetables looked as if they came out of the ground rather than from the back of a truck. And the variety of produce on sale was quite something. from somewhat intimidating to the mild innocence that comes when hawkers spot a potential score. I only had one item on my shopping list – Georgian tea. That said, had I not been restricted to cabin baggage and by import laws, I could have packed a suitcase or three with the delicacies on offer. Of course, there is the usual display of tat that you find in markets everywhere, the provenance of which is either China or Turkey, depending on which part of the world you’re in. But the tat here was of a higher quality – if that is possible. In our travels, I saw a number of stalls selling what looked like multi-coloured candles hanging from their wicks. It wasn’t until later that I realised what I’d seen were Churchkhela. Churchkhela (Georgian: ჩურჩხელა) is a traditional sausage-shaped candy made by repeatedly dipping a long string of nuts in tatara – a mixture of flour, sugar and Badagi (concentrated fresh grape juice). Georgians usually make Churchkhela in the Autumn when grapes and nuts are harvested. Churchkhela can also be made with dried fruit (such as peach, apple or plum) and pumpkin seeds. Something I think I’d like to try at home. And here’s the recipe. They’re quite delicious. Having had our fill of smells and savours, we wandered out through the maze of stalls onto the street, turned a corner, and stopped dead in our tracks. The back wall of the Green Market is nothing short of jawdroppingly spectacular. I can’t find any information on it and our intrepid fountain of information from the tourist office failed to mention it in his brief introduction to the city. It doesn’t rank on the list of places to go. Up close, it seems like it could be a graphic depiction of the history of the country. There were guns and canons and bullets and families and saints and musicians and all sorts. War and peace reigned side by side. Music, art, literature all had a place. It is truly something. In years to come it might well be to budding artists what the likes of the Eiffel Tower and the Colosseum are to sketchers today. https://anyexcusetotravel.com/wp-content/uploads/2018/09/long-aett640.png 0 0 Mary Murphy https://anyexcusetotravel.com/wp-content/uploads/2018/09/long-aett640.png Mary Murphy2016-06-21 13:42:212016-06-21 13:42:21Chacha! Bagrati Cathedral looms over the city of Kutaisi like a proud parent wondering how her child will turn out. It can be seen from any street in the city, and being on a hill, getting to it requires a climb. We cheated. We took the cablecar across the river up to the leisure park and walked from there. Ignoring the many taxis vying for business, we decided to walk, to get a feel for the neighbourhood. And it was worth it. I mentioned before that the faded metalwork is gorgeous. And I’ve written before about my fascination with doors and how I staccatoed a lot of smooth walks by stopping to take pictures of doors in Morocco. This fascination was challenged by a new one in Kutaisi – gates. The colours are simply amazing. The newer ones, the ones that were bright and sparkly weren’t nearly as attractive. I was in my element. A tad concerning were the gas pipes which run along the streets. On the one hand, leaks are easily discovered and fixed. On the other, you have to wonder at the damage a stray match might do. The meters look like they’ve seen a few winters. Some new houses have been built in what seems to be a very old neighbourhood and they, like the sparkly newly painted gates, instead of looking impressive, look like fakes. Gentrification can’t be too far away, but I hope that the ‘hood manages to hold on a while longer. We eventually got to the cathedral. Built in the tenth century by Bagratt III, it was blown up by Ottoman invaders seven centuries later. Reconstruction took more than 50 years and finished in 2012. So it’s sort of new. There was some sort of service going on with lots of people coming and going. There was a choir in the corner – half a dozen old dears singing their hearts out. Lots of young people, girls in particular, went through the rituals that are so alien to me. No matter how long I stood and watched, I could see no pattern. There were repeated signs of the cross and a lot of kissing of various relics and pictures. And there was a lot of candle lighting. That part I was fine with. Some day, someone will have to explain it all to me. But despite the pomp and ceremony, the walking in and out, the brandishing of candelabra, there was a palpable sense of devotion. The silent reverence that I’m used to felt a little shallow. In Bagrati, people seemed to live their faith, to treat their church as if it were their home. A graduation group posed for photographers in front of the altar, only scolded when they stood on a rug that wasn’t for standing on. And all this as the service continued. It was confusing. It was impressive. It was quite something else. The bells rang as we left and looking up at the bell tower, we saw the man in action. Special. My last attempt to visit Georgia had to be aborted due in part to being refused a visa for Azerbaijan (I wanted to get the midnight train from Baku to Tbilisi) and in part because my eye sorta popped a few blood vessels. This time, I made it (on the midnight plane from Budapest to Kutaisi). Being clueless about the city (the legislative capital and the second-largest city in the country), I had little by way of expectations. We stayed about a 30-minute walk from the centre, an interesting walk lined with pharmacies and pastry shops, blocks of apartments ala Communist mode, and shops laden with shelves organised by colour. There is no shortage of cleaning materials and washing detergents. We knew we’d arrived in the city centre when we hit Rioni River. There’s a statue of a boy with two hats on what’s known as White Bridge (Tetrikhidi). Legend has it that he stole the hats from two gentlemen and then dove into the river to escape. It is to Kutaisi what the Little Princess is to Budapest. In need of coffee, we stopped at the White Stone Café which back at the turn of the last century was a haven for poets and writers attempting to move the country forward. We watched the cable car cross over the river and wondered where it was going. We’d find out later. There’s a curious mix of old and new with my vote going to the old. The city is definitely getting a facelift of sorts. Not nearly on the scale of the cosmetic treatment Budapest has been undergoing but there are signs. I’m torn between wishing it would stay the same and wanting to see what it would look like cleaned up. The colours of age-old rust and crumbling paint add a texture that a newness misses completely. stay open way past what I’ve come to expect as normal. Armed with directions and suggestions from the very friendly Giorgio at the tourist office, which included back roads, hidden steps, and windy lanes, we decided that we would spend Saturday in the city, Sunday at the monasteries, and Monday at the beach. We only had three days but already, within the first three hours, we’d agreed that we needed to come back – and come back for longer. Kutaisi may well be the second city in terms of size and the third perhaps in terms of tourism, but it promised so much in terms of culture and experience. The Chain Bridge (Jachvis Khidi) is impressive, given the location. But the metal work everywhere is even more intriguing. Houses are built on two levels, with a wrap around balcony on the first floor with a sweeping staircase. I found a few I could happily live in. stunning. We meant to go back and see it at night but that didn’t happen… next time. While we weren’t exactly tripping over bars and restaurants, the ones that were open and running and doing business were doing well. Coffee shops are on the rise (as they are everywhere) but thankfully, the chains like Starbucks and Costa have yet to make an appearance. We stayed in the city to eat that evening and made three attempts to leave Palaty, the restaurant we ended up in. The music was good, the food was great, and the wine was better again. The staff were friendly, helpful, and so welcoming. And sure we were in no rush to go anywhere. Apart from the obvious environmental repercussions, the stress that can accompany airline travel makes me wonder why I persist. Not every flight is stressful but say, on average, 3/10 do mad things to my blood pressure and 1/10 makes me seriously consider never flying again. There’s the queuing system – or the lack of it – or worse still, the complete disregard for it. I’ve travelled on planes to and from Hungary for too long now to still let this bother me. I have schooled myself to tolerate those who blatantly ignore the fact that others (perhaps in their stupidity) have been standing in line for 30 minutes waiting to board the plane, and just cut in, impervious to the looks of incredulation that turn to muted anger and often end up in loud declamations of ‘The nerve of some people!’ All ignored with an aplomb that varies by nation. relaxed. And then came the boarding call. We were on time and wondering where everyone was. It seemed like we would have the plane to ourselves – or as good as. And then they came, in their droves, pushing their way to the front without so much as a by your leave. The priority doors opened and we went outside. For a brief moment, I was first and then the group broke around me, pressed to the cordon, like horses in a starting box waiting for the starter’s cry: And they’re off. The attendant knew enough to stand back quickly lest he get caught in the stampede. I check baggage allowances. I’ve fallen victim too often to the vagaries of airport personnel. I make sure I’m on target. One piece. 15.6 kg max. And if I need more, I pay for it. When the minimum luggage allowance is ignored on some flights and strictly enforced on others, I wonder how many prozac prescriptions could be laid at the door of the likes of WizzAir. Some had three and four bags and not an eyelid was batted. One girl had to have help carrying one of hers, it was that heavy. I pay for an aisle seat with extra leg room. I pay money. Good money. And when I’m asked to move because the airline sold the window seat in the emergency row to someone who didn’t meet their criteria to sit in that seat … my blood pressure rockets. Why should poor planning on their part constitute inconvenience on mine? The return flight was worse. Kutaisi airport has been open just six years and has yet to master the basic pleasantries of airline travel. If a flight is delayed two hours, tell the people why. Consider doing the same even if it’s only delayed an hour. If you don’t accept pdf boarding passes, tell your passengers that they have to queue up at check-in even if they are not checking in bags. If you have people being battered and pummeled in the queue, stick in a few ropes. Ropes work. It was bedlam. Bedlam. Absolutely NO regard at all for common courtesy. It was every man or woman for themself. Anger that has been a stranger for years returned with a vengence. I could have swung for the woman behind me – and the one to the side of me – and the one in front of me. On the plane, the same havoc ensued. Some with seats up front, boarded through the rear cabin door, causing major traffic jams. I put this down to them being infrequent flyers. Bags were being piled in the overhead bins anywhich way. Again, perhaps they knew no better. Annoying but it can happen. 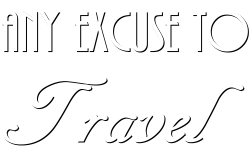 What cannot be excused is the complete ignorance and lack of common courtesy shown when attempting to retrieve bags from the overhead bins. They simply would not move so I could reach over. All they had to do was to step back into their seat for less than 10 seconds – but no. They stared blankly ahead in muted defiance to the point where exasperation gave way and I screamed: ‘You are the rudest women I have met in years.’ Not loud loud, but with enough projection to blow them back a few paces and let me in to get my bag. That return flight to Georgia ranks right up there on my WORST ever flight with WizzAir, knocking a trip to Venice some years ago from the top stop. So what’s to be grateful about, you wonder? Well the flight was going to Kutaisi, Georgia. An absolutely stunning place, with lovely people (who have yet to be corrupted by air travel or perhaps have mastered the niceties thereof), fabulous food, and a wealth of new experiences. More on all that this week.